Al Masar Gallery | Contemporary Art is delighted to announce the booming sale results of unique artworks by gallery artists Ibrahim El Dessouki & Kareem Al Qurity at Christie’s Dubai Auction titled ” Modern &Contemporary Arab, Iranian & Turkish Art Part II” that took place on 30 October 2013. The success that each artist has acheived at the auction is a great testiment to their talents & strong artworks. 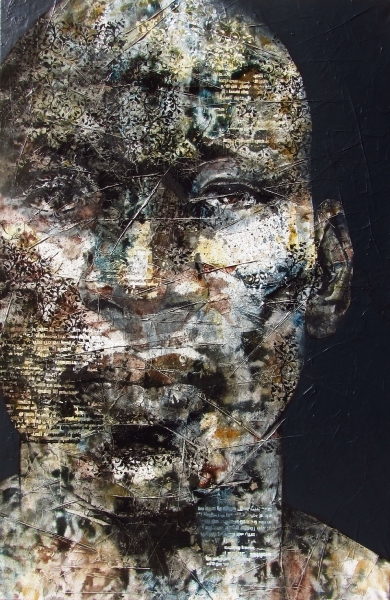 We are continually amazed at the level of dedication that both artists possess enabling them to produce serious, genuine & valuable art that we as a gallery believe will stand the test of time. We take great pleasure & pride in representing those two great talents with an even brighter future ahead of them. 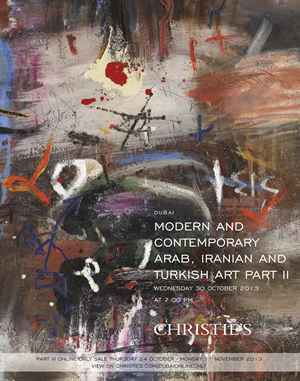 Previous postGallery Artists at Christie's Auction | October 2013 | MODERN & CONTEMPORARY ARAB, IRANIAN & TURKISH ART PART I & II | DUBAI Next postAl Masaar Gallery Artists @ Tate Liverpool | "Art et Liberté: Rupture, War, and Surrealism in Egypt (1938 - 1948)"